With the temperatures falling by nearly 30 degrees in 24 hours in the Dallas Fort Worth Metroplex we received our first inquiry about temperatures and their effects on roofing projects. There are two sectors of roofing: repair, and replacement. To cover each properly we will separate them and discuss specific aspects of each. Repairs… What do I need to do? 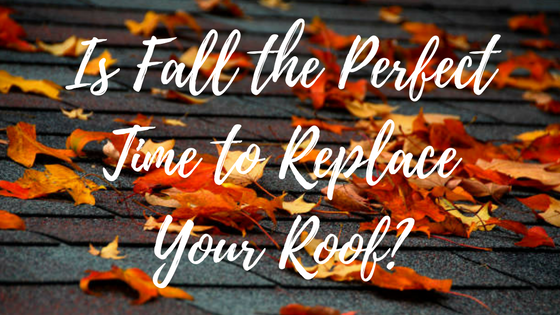 There is some preventative roof maintenance that we would suggest you or a professional do on your roof in the fall. The first issue, especially if you live in an area with tree coverage is to make sure your valleys, roof vents, and gutters are free of fallen leaves. Dead leaves act as an excellent sponge to allow water infiltration into your roof. This can be done by a roofing professional or simply a homeowner. If you decide to take this task on yourself please be sure to use safety fall precautions when on your roof. Roof maintenance is very affordable from your local Fort Worth roofing professionals at Excel Roofing. Also be sure to look for any damaged shingles and apply new silicone to any exposed or previously covered nail heads. We would recommend trimming any limbs from trees and bushes back from the roof line so that when the wind picks up that your roofing system does not experience unnecessary damage. It is actually a great time to replace your roof due to the average temperature during the day not being so hot that the shingles are damaged from foot traffic. When shingles warm up they become soft and can easily be damaged when in the Texas heat. The manufacturer’s suggested installation temperature is 40 degrees and rising. Meaning, that the temperature is not falling below 40 degrees for a 24 hour period to allow the roof to properly seal after installation. The men and women tasked with replacing your roof enjoy the cooler temperatures as well! If you are in need of a full roof replacement in the Dallas Fort Worth metroplex call the professionals at Excel Roofing & Construction to handle all of your needs at 817-645-1788. Our team of Master Elite factory trained and certified roofing professionals look forward to serving you!